Feel the spirit of celebration around you. 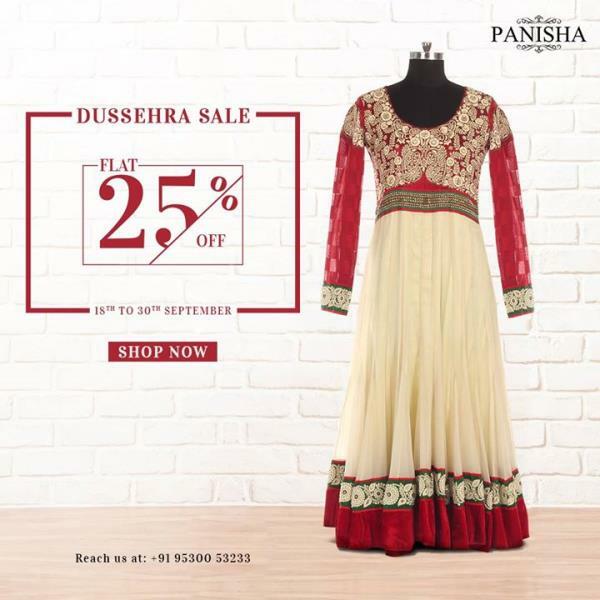 Give your wardrobe an upgrade this Dussehra with iconic designs from our collection. Your favourite pieces now at a FLAT 25% discount. For any enquiry, give us a call on +91-9530053233.